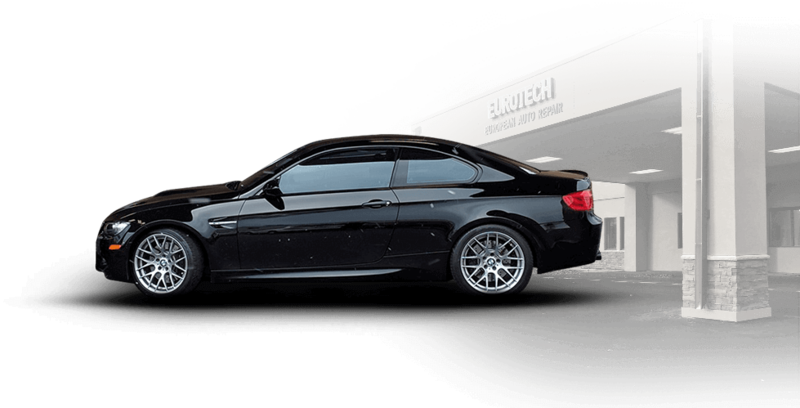 At Eurotech Auto Service in New Brighton and Woodbury, MN, we are one of only two shops in the state who are approved to install DINAN performance parts and software on your BMW. We are one of the leaders in BMW diagnosis and repair, ensuring that your vehicle is always repaired the right way. We have the same factory tools as the dealership, ISTA and ISTA/P, which aid in helping us determine any issue you may be experiencing with your BMW. We are able to perform BMW Inspection I and II as well as being able to scan the vehicles CBS (Condition Based Services) to check for additional maintenance items. When you bring your BMW into Eurotech, you’ll receive the best quality repairs paired with excellent customer service and amenities. We want to make sure that your experience at our shop is always professional, convenient, and informative! Our technicians keep up to date on all the latest training to better help us understand your vehicle and keep the vehicle running longer. Our goal is to make sure that your BMW stays reliable on the road and also focus on boosting overall performance and efficiency with each visit. From major repairs such as engine repair and transmissions services to general maintenance including oil services and inspections, our shops in New Brighton and Woodbury do it all. We staff highly trained and experienced ASE certified technicians that are passionate about what they do. We treat your vehicle as if it were our own. Not only do we only use the best OEM parts for your BMW, but we also offer a 3 year or 36,000-mile warranty on parts and labor - the best warranty in the industry! Along with New Brighton and Woodbury, we proudly serve Minneapolis, St. Paul, and the surrounding areas of Twin Cities. We also offer a free local shuttle service, a comfortable waiting area, a play area for kids, free wifi in our customer lounge, and loaner vehicles available when needed. If your BMW needs a repair or service in New Brighton or Woodbury, MN, stop by the experts here at Eurotech Auto Service or give us a call today!